A lab for screen printing and photography. 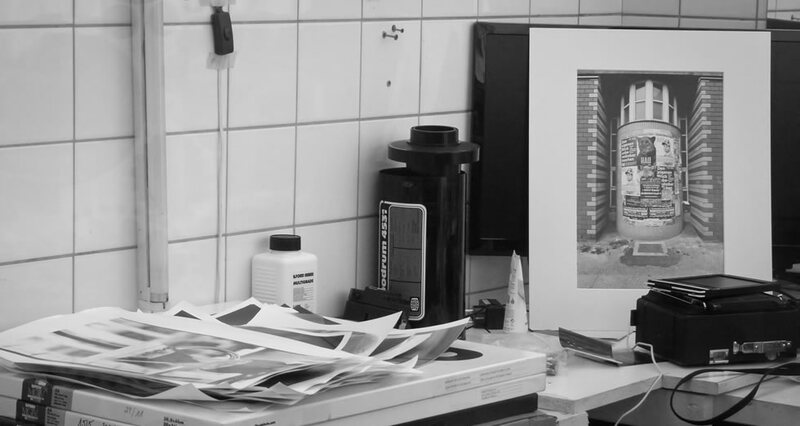 STATTLAB is a community-based atelier with a silk screen print studio as well as a darkroom for black and white photography. Artists from StattBad Wedding and the greater Berlin arts community have the opportunity print on textile and paper here, as well as to develop black and white photos. STATTLAB is an open space with regular exhibitions, workshops, and various other events. The space can also be rented daily. To some extent we also have desk space for artists who need a bit more room to work, which can be used for a small fee. Artists who work in STATTLAB run workshops, print requests from fellow artists and organize events for companies, school projects, and just about anyone else. Those who work at STATTLAB also support external artists for specific printing and photography projects. The silk screen lab is equipped for printing paper and textiles up to 75 x 95 cm. There are paper and textile printing tables, as well as a four-color carousel and printing screens in various sizes with various materials. A number of both classic and experimental methods for printing are possible. The analog darkroom is fully set up for black and white analog photography, for developing film and enlarging both 35mm and medium format up to 30x40cm. In addition to classic silver gelatin printing a number of experimental techniques are used and tried here. The lab is interested in working together with artists who are also interested in developing alternative processes and methods in analog photography. Both the screen printing and the darkroom portions of STATTLAB are always happy to hear from people interested in the atelier, as well as potential new members. The group covers a wide array of ages and experiences, and all are welcome here. STATTLAB supports people who are curious about the labs, those who are already deeply interested in learning finer techniques, artists who have a clear project in mind as well as students who are interested in building up a portfolio.